For all those women who wish to own something old, and historic, here’s your chance – Elizabeth Taylor’s first wedding dress is up for auction. 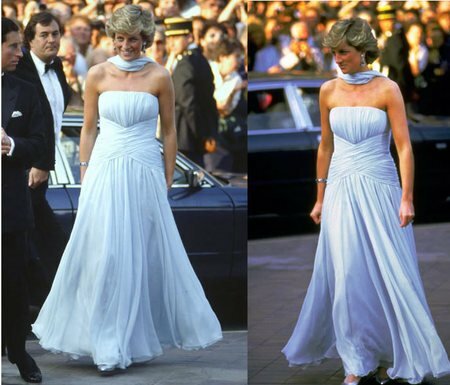 The exquisite oyster silk satin gown designed by M.G.M. 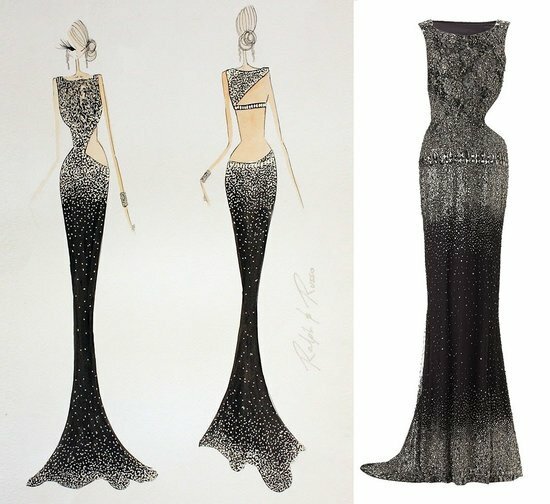 chief costume designer – Helen Rose would be auctioned on June 26 at Christie’s Pop Culture sale. 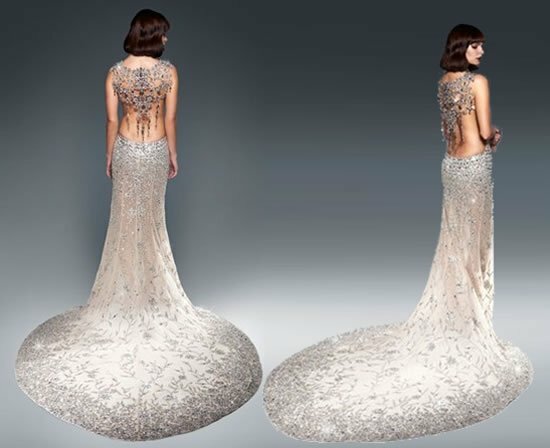 Although the dress has been estimated at $45,300, the sale is expected to climb up to a good $75,500. 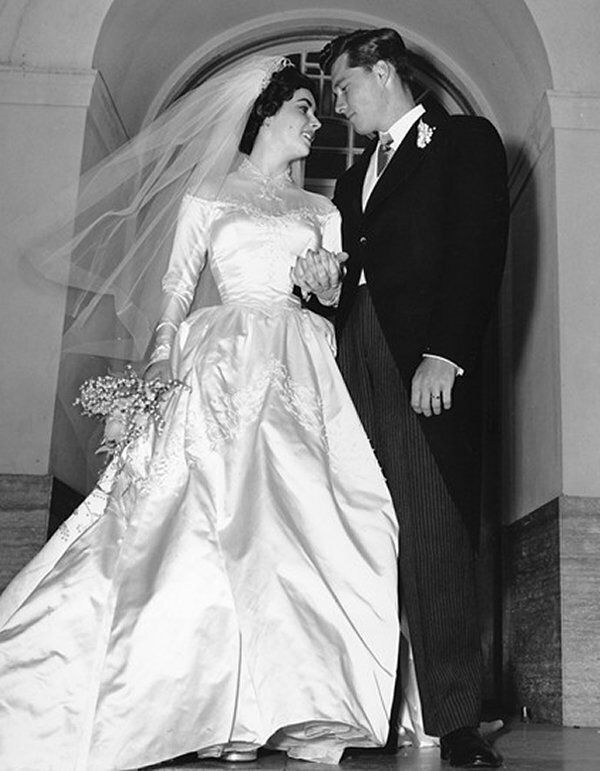 One of the greatest actors of her age, Elizabeth Taylor tied the knot with Conrad ‘Nicky’ Hilton, in 1950, at an early age of 18. 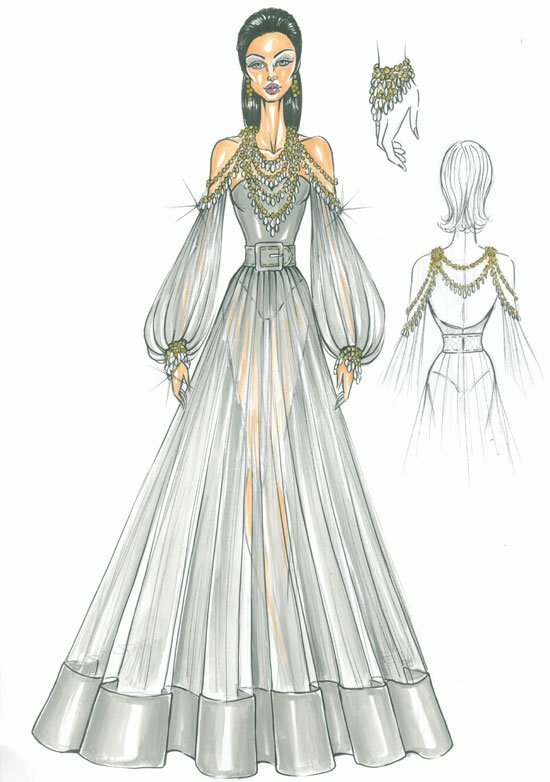 With a figural design, Taylor’s wedding gown flaunts a tiny 20-inch waist. The satin dress has a fine silk gauze off-the-shoulder illusion neckline with sleeves long and fitted. The train, neckline, bodice, cuffs, and skirt has been embroidered with simulated seed pearls and glass bugle beads in a foliate motif. The dress also comes with a long silk tulle veil with beaded Juliet cap. A complimentary document concerning the provenance and a photograph of the vendor wearing the dress at her own wedding would be handed over to the highest bidder.